Is your company in tired hands? Jeffrey S. Durmer, MD PhD, Dr. Durmer is a sleep health expert, Neurologist, Georgia State University professor and the Chief Medical Officer of FusionHealth in Atlanta, Georgia. Is your company in good hands? While a great deal of attention has been paid to the importance of sleep for professional athletes, musicians and politicians, the role of sleep in ensuring the performance of business executives has remained largely overlooked. Now, however, many large companies are beginning to focus on executive health and well-being with the aims of maximizing performance and key decision-making while limiting burnout. Although a number of lifestyle programs have evolved to service this need, they tend to focus on exercise and diet and omit perhaps the most urgent daily biological process: sleep. Sleep deprivation impairs several brain networks that control cognitive function. Symptoms can start after 16 hours without sleep and get worse over time, impacting performance. Severe sleep deprivation results in reduced alertness, difficulty directing attention and, ultimately, in short periods of sleep during waking life. These microsleeps often go undetected but have an unpredictable impact on information gathering and processing. A chronic lack of sleep also directly impairs short-term and working memory, which often results in a failure to adapt established problem-solving strategies to new situations, even when these strategies are no longer optimal or even practical. The more extreme the sleep loss, and the longer and more tedious the task, the more likely performance decrements are to occur. Not only does sleep deprivation impact the executive’s cognitive function, there is also a psychological impact. The abilities to recognize and respond to threats, estimate the difficulty of future tasks and the evaluate the severity of consequences when making decisions are reduced. In a sleep deprived state, the brain is more likely to misinterpret both verbal and nonverbal cues, limiting the effectiveness of interpersonal communications. Sleep deprivation increases the perceived value of potential gains while decreasing the perceived value of potential losses, enhancing risk-taking behavior and decisions. Morality becomes skewed, with sleep deprived executives showing an impaired ability to recognize immoral behavior in others and an increased likelihood to disregard the moral implications of their own actions. Executive well-being programs that address diet, exercise and work/life balance are a step in the right direction but won’t achieve their maximum effectiveness unless sleep health is also considered. The sleep deprived executive will experience an increase in appetite resulting from dysregulation of the two hormones that control hunger, ghrelin and leptin. This makes it difficult to lose weight and can contribute to obesity and diabetes. Sleep loss also leads to higher blood pressure, elevated levels of the stress hormone cortisol and high cholesterol. Sleep quality before and after exercise is important because researchers suspect it is during deep sleep that Growth Hormone, which stimulates muscle growth and repair, bone building and fat burning, is produced. Also, a lack of sleep leads to feelings of fatigue, sharply reducing motivation to exercise. Executive wellness programs are moving in the right direction but are missing perhaps the most important component of well-being, performance and health. Research has shown that sleep deprivation undermines leadership, planning, health, communication and judgement. 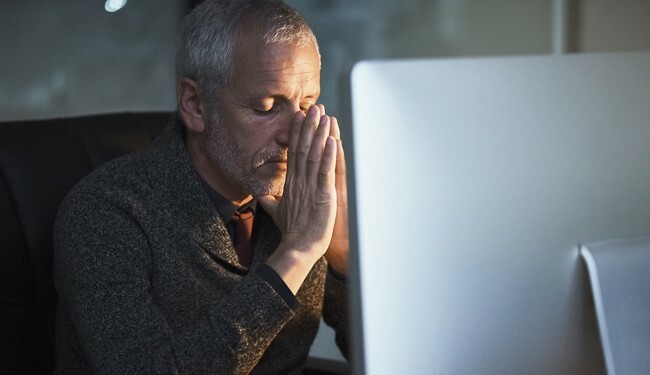 For companies, the consequences of poor sleep health go beyond the performance of individual executives to potentially serious financial and operational consequences.